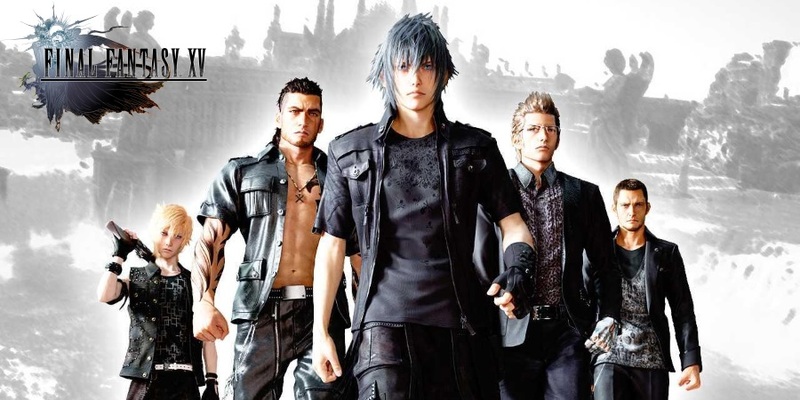 Square Enix’s decade-in-development RPG Final Fantasy XV is now playable for those who have pre-loaded the titled on PlayStation 4 through the PlayStation Store. Like many other Final Fantasy fans I decided to go all digital with this latest title due to the fact that it would unlock at 10 PM EST and allow me to play several hours ahead of the release locally – plus I wouldn’t have to leave the house, which is a huge plus. During the download of FFXV the PlayStation download manager will tell users that approximately 8GB of the game are required before the game is “ready to start”. I naively assumed that this “ready to start” download would allow me to play at least the first chapter of the game but just like last year’s Star Wars: Battlefront FFXV’s partial download is nothing more than an endless gauntlet against waves of enemies. If you have slower internet like I do you could be facing the prospect of fighting an endless horde of goblins for hours with little variation in content to keep you entertained. So what’s the big issue? Well, when Sony announced the PlayStation 4 they positioned the “Ready To Start” as enabling the player to begin their gaming experience while waiting for the complete game to finish installing. Unfortunately in practise in many cases this mean’s the players either face endless hordes of enemies or other smaller slices of game-play that do not add to the overall experience with the completed game. Earlier in the system’s life-span launch games like Need For Speed: Rivals allowed players to start the campaign, as did Assassin’s Creed IV: Black Flag. It is inexcusable that FFXV’s mandatory partial download does not contain any substantial content. If Sony is going to mandate that developers put in small slices of playable content while downloads finish they should take steps to ensure that they are entertaining. Final Fantasy XV is now available for digital pre-load on PlayStation 4 and will be available at retail locations tomorrow for both PS4 and Xbox One.